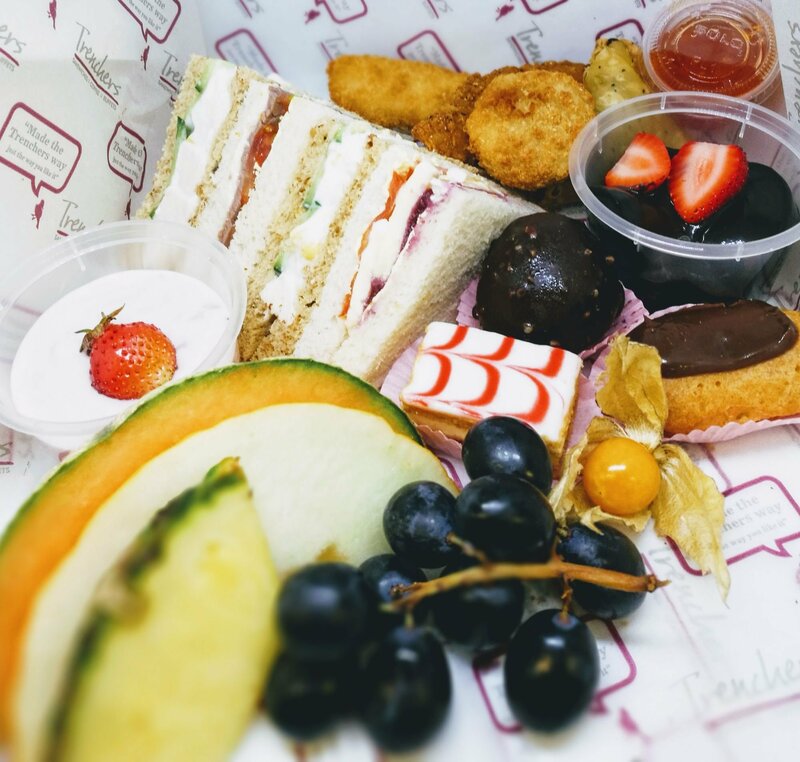 Office catering Birmingham Blog, with information for all your catering needs from Trenchers, including information on sustainability, allergens, portions, hygiene inspections. Hand Made Bake - Dudley - Great Cake Company founded by Trenchers team member Piotr Witkowski. Kincaid window cleaning service - Lowestoft - cleaning services in east anglia. Trenchers home for outside of Birmingham - Order catering for outside of Birmingham Here. food in the news this week, featuring plastic waste and bird flu. Bird Flu was detected amongst 17 birds in Dorset, southwest England, for the first time this winter on 12 January, according to the UK Department for Environment, Food and Rural Affairs. A “prevention zone” will be set up in the affected area which requires captive bird keepers to take measures to restrict mingling with wild birds. Impact and recommendations: While the government made clear the risk to public health is very low, wide media coverage could still create concerns among consumers. The European Commission published on 16 January a European strategy on plastics as part of the transition towards a more circular economy. The strategy is an attempt to get companies and consumers to drop their addiction to plastic, with the goal of ensuring all plastic packaging is reusable or recyclable by 2030. The document includes new requirements to design products that are recyclable, and EU-wide quality standards for plastic waste, which can then be more easily plugged back into the production chain. It also encourages producers to use as much recycled material as possible. The Commission also said it will “explore the feasibility of introducing measures of a fiscal nature at the EU level”, such as a plastic tax. Finally, the Commission plans to crack down on single-use plastics like straws, food and drink containers, cutlery and drink bottles. The strategy is open for public consultation until 12 February 2018. Impact and recommendations: The strategy is the first step in a long process before legislative or industry change can be made. The Commission plans to announce a legislative initiative in May targeting single-use plastics, with the goal of having a new law in place by next year. The European Food Safety Authority (EFSA) has published the draft protocol it will use to investigate on whether it is possible to set a safe consumption level for free sugars. The document is open for public consultation until 4 March. This follows a request from five national food agencies (Denmark, Finland, Iceland, Norway and Sweden) to set a maximum daily intake level for added sugar. The draft protocol establishes the types of studies which will be considered in such a process. The EFSA will hold a public meeting in Brussels on 13 February to gather stakeholder views on the document. The Authority has also published the final protocol it will use to determine the relationship between sodium and some harmful health effects. The EFSA’s assessment will focus on the impact on blood pressure, cardiovascular-related endpoints and bone health. The relationship between sodium and health effects including blood lipid profile, glucose tolerance and type-2 diabetes, overweight and obesity, effects on kidneys and gastric cancer will however be excluded because of lack of evidence. The overarching objective of the Authority is to issue dietary reference values for salt for the different segments of the population. Impact and recommendations: Maximum daily intakes for added sugar and salt could lead to new reformulation requirements. The European Commission has launched the tender for what will be the first major survey of the nutritional quality of food on sale in EU supermarkets. The aim is to collect nutritional information on processed food products and to look at the feasibility of a proper monitoring system to record levels of salt, sugars and fat. The €1.4 million pilot project will test the monitoring system in place and examine the usefulness, cost and feasibility of further harmonising and standardising of data collection to allow direct comparisons. It will also include targeted workshops on the reformulation of food for public authorities and/or twinning initiatives to publicise best practices. Information collected will cover the mandatory nutrition declaration, voluntary declarations on polyols and fibre, as well as information on nutrition and health claims, and the list of ingredients. Impact and recommendations: For information only at this stage as it is so far unclear how the results of such a study will be used. Trenchers has compiled our favourite sandwiches just for Christmas. Team up mild butter lettuce leaves with slices of leftover roast pork, a couple of pieces of tomato and a drizzle of applesauce. Drizzle a mix of red wine vinegar, olive oil and crushed garlic over a slice of bread. Top with slices of ham, roast turkey, Jarlsberg cheese, pickles and tomato. Toast the sandwiches or serve as is. Top slices of crusty bread with a smear of pesto and slices of roast chicken, avocado and slices of mozzarella. Place under a hot grill and toast until the cheese is bubbly and golden. Whisk together a tablespoon of seeded mustard with a little sour cream and spread on a piece of bread. Top with rocket, roast beef slices and a dribble more of sauce. Choose to toast it or eat as is. Spread good quality store-bought mayonnaise over slices of bread, top with smoked salmon, capers and slices of avocado. Spread hummus on slices of thick bread. Top with pieces of roasted pumpkin, a drizzle of olive oil and a few baby spinach leaves. Sprinkle over a few sunflower seeds for added crunch. Cook up slices of bacon, then add to a sandwich together with roast chicken, avocado, lettuce, tomato and mayonnaise. Spread bread with tomato chutney and top with slices of lamb. Sprinkle over a little mint and parley, and add a couple of butter lettuce leaves. Spread thick cut crusty bread with a little pesto, then top with marinated artichokes, capsicum, eggplant, sliced olives or any other deli favourites you have on hand. Top with slices of mozzarella and toast under the grill until the cheese is bubbling and golden. Spread bread with cranberry sauce and top with slices of turkey, stuffing, a few rocket leaves and caramelised onions. The sandwich market in the UK. 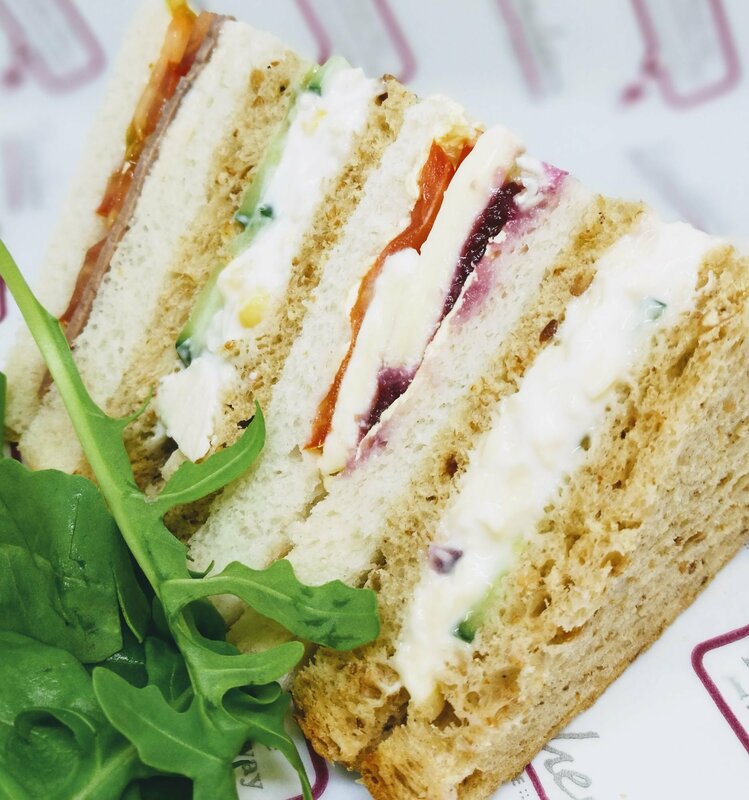 Trenchers take a look at the sandwich market in the UK. At Trenchers catering we are proud to be a member of the British Sandwich Association (BSA), and this week they have sent me some really interesting information regarding the way the sandwich market in the UK has grown, and how it employ's a great number of people across the country, and so i though i would help spread the word. Did you know the sandwich industry employs 325k people in this country alone, and this number rises all the time with more and more people selling more and more sandwiches. 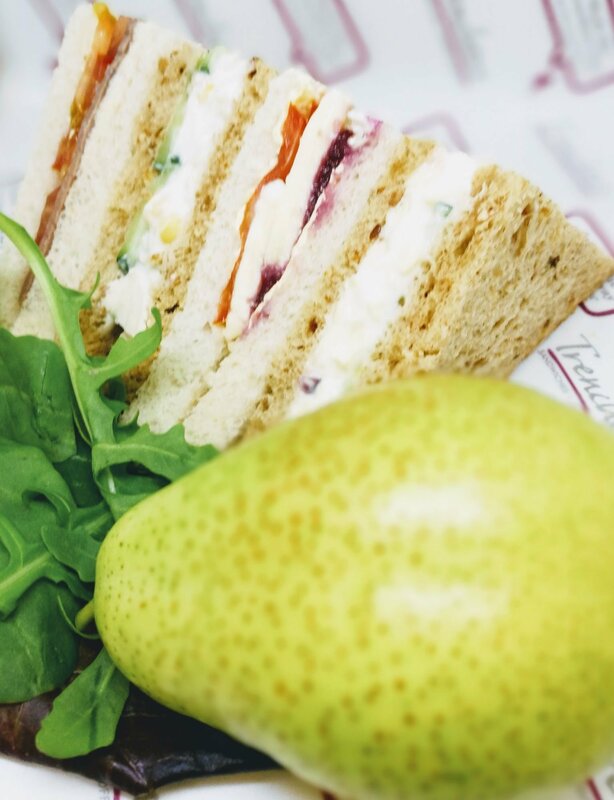 Last year Trenchers catering found our most popular sandwich filling was cheddar cheese, however cheese only comes in at number 3 on the list of most popular, being beaten to the top spot nationally by Bacon, and with chicken coming in at a very close 2nd place. The average price for a sandwich in the UK is now £2.27, i think this is good value, and shows that you can still have a good lunch for under £2.50. The sandwich sector in the UK is now worth £8bn to the UK economy. 3.5bn sandwiches are consumed each year. 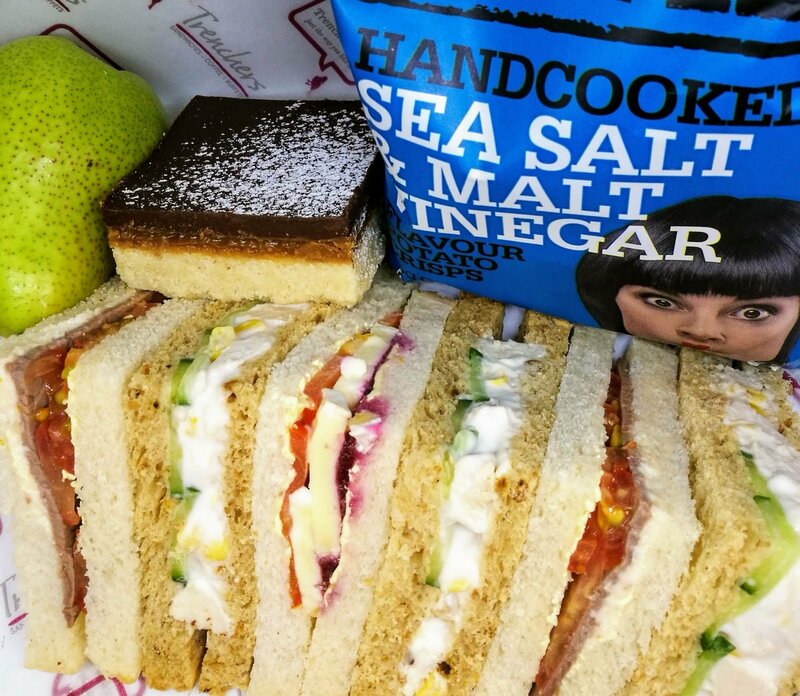 The sandwich market is made up of 40% sandwich bars and bakeries, 15% supermarkets, 9% coffee shops, 11% workplace and education and 16% other. The sandwich sector as a whole is up year on year by 3%. I hope this is as informative to the reader as it is for me. Staffing Crisis as Government delay Technical qualification. The Govenments commitment to encourage British people to consider the hospitality sector as a career, has been questioned today by the British Hospitallity Association, after plans for a new qualification has been delayed. The Government has put back the introduction of the proposed catering and hospitality T-Level qualification to September 2022, a year after the end of freedom of movement, propting questions to be asked of the education Miister Ann Milton. At Trenchers Catering we rely on well trained catering staff and would love to see this qualification in place sooner, so we can have a bigger pool of better trained candidates to fill our requirements as a business. In a letter sent to Immigration minister Brandon Lewis by Ufi Ibrahim she wrote: ”We are not in a position to fill these vacancies without hiring non-UK workers. This is due to the fact that the UK is currently at near full employment and because the educational system does not encourage young people to consider a career in hospitality. She added that if migratory flows for workers from the EU and beyond were severely curtailed, the hospitality industry would likely contract, costing jobs and growth. According to a KPMG report commissioned by the BHA, the industry needs an additional 60,000 workers a year to power growth in addition to the 200,000 workers needed to replace churn. It said that a key part of its 10-year-strategy for job creation was to attract people direct from education. We need the education minister and the immigration minister to talk to each other to resolve the delay, and help the catering and Hospitality Industry thrive in the coming years with better trained British staff filling the many hospitality roles that are going to be available throughout the sector. Trenchers catering suppliers guide and what we get from each. 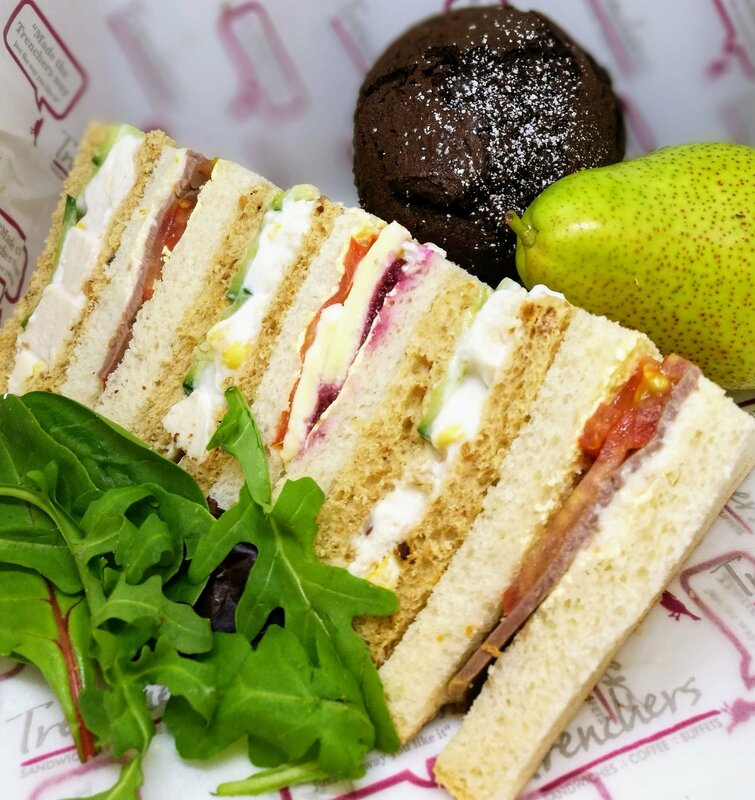 At trenchers caterers we pride ourselves on using the best ingredients, local sourced at the best price, around Birmingham we are very lucky to have a wide range of suppliers that are willing and able to offer us exactly what we need! NINE DECADES OF EXPERIENCE IN CARDBOARD BOX MANUFACTURE. The Company was originally the Box making arm of T. Kirby and Sons Ltd, a well known printers based in Walsall at the turn of the 19th century. The Walsall Box Co Ltd was founded as a separate company in 1926 by Ernest Kirby and it is now run by third and fourth generations of the same family. Today the Walsall Box is a modern and vibrant company, employing 25 people, with a strong heritage and history of providing good service and quality packaging. Since it was first opened for business the company has continued to expand and improve the services that it offers, so it is now truly a one stop shop for all your packaging requirements. We manufacture boxes for a large variety of businesses in very different sectors ranging from Giftware, Silverware, Ceramics, Cosmetics, engineering, automotive and Marketing to name but a few. The core values at the heart of the business have always been, and remain, commitment to quality and service. Brayne & Price was founded in 2009 by Colin Price and Lee Brayne. Between them Lee and Colin have over 40 years experience in the industry and pride themselves on the highest level of service and a broad range of quality and diverse products to suit all needs. We use BRC accredited suppliers and distribution is made from our refrigerated depot situated in the heart of the West Midlands by our own chilled vehicles. We offer a delivery service to suit your needs and will make every effort to ensure your orders are delivered on time. Our sales staff have full knowledge of our product range and will be happy to discuss, advise and help you with your catering needs and will be only too pleased to assist with any enquiry you may have. We appreciate the constantly changing market where customers tastes are becoming more diverse and we have a flexible approach. We make every effort to regularly make you aware and discuss with you new products, in order that you are easily able to meet your customer requirements. We pride ourselves on offering a personal service and putting our customers first. Each region within the UK is served by its own dedicated sales management and telesales team, offering our customers a mix of local knowledge, expertise and support. We enjoy an extremely loyal customer base, most of whom have used us for many years. Woodward Foodservice is now part of the Brakes Group. We continue to operate as a separate company, but with the added benefits of increased local distribution as well as access to specialty businesses within the wider group such as Prime Meats, La Boulangerie and non-food ranges. Not only do we supply a wide choice of branded products, we also have an extensive own brand range providing customers with the assurance of performance and value for money. We are continually exploring ways to build on the success of the Woodward brand and develop new market opportunities so that many more customers can enjoy this unique service and product mix. We aim to make it easy to do business with us – one call, one order and one delivery direct to your door on our fleet of multi-temperature vehicles. Wholesale markets have traditionally been nocturnal places, and there are many aspects of the old markets of the past that you’d still recognise today. There’s still banter and trading, and brightly coloured, enticing fruits and vegetables from all over the world. Our sales team at Birmingham is there each night to welcome customers and make sure everyone gets the keenest prices for the finest fresh produce. 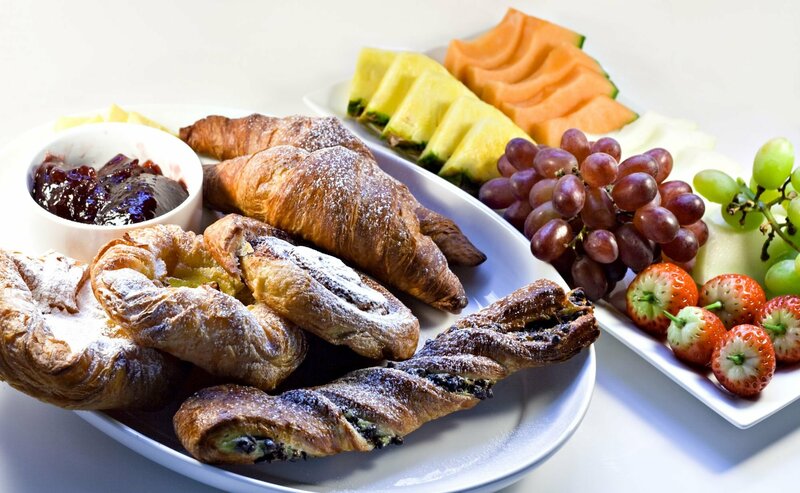 All are welcome – our customers range from independent caterers and restaurants through to hotels, shops, market traders, chain stores, food service companies, schools and everyone in between. We can procure locally and internationally to fulfil whatever fresh produce it is you’re looking for. RECOGNISED AS A LEADING INTERNATIONAL FOOD BUSINESS WITHIN THE FOOD SERVICE AND RETAIL INDUSTRY. Our recipe for success begins with a deep understanding of food. We use the reach of our network to navigate global food trends and develop a holistic understanding of the global food market. We share this knowledge and work alongside partners and suppliers to uncover insights and new commercial opportunities. Armed with these insights our teams of chefs and bakers get to work in professional kitchen and bakeries. Drawing on a heritage of artisan baking and French gastronomy, we fuse classical culinary techniques with a local palate to develop food solutions that add value to menus and retail shelves. This creative spark is complemented by the acumen of our commercial team. Serving as the link between suppliers, chefs and customers, they draw on a portfolio of specialist brands and retail concepts to develop layered solutions that create bottom line value. Finally, to ensure that each solution is delivered on specification and on time we have assembled a comprehensive supply network that delivers around the clock. It’s a busy world that’s constantly evolving but as we move forward, we’re challenging ourselves to keep exploring and developing new ideas that inspire chefs, managers and buyers. I hope that by following our lead, and using local suppliers for fresh local produce, you can give your customers a better product, and be proud that you support the local business community. A great selection of food quotes, selected from some of the worlds great authors, and Mary Berry. I do love reading and finding great quotes from popular writers like Dumas and Shakespeare, and thought i would write a quick blog containing some of my favourites about food. 'One cannot think well, love well, sleep well, if one has not dined well' Virginia Woolf. - so why not try our Hearty lunch at £7.20 per head. 'Ask not what you can do for your country, Ask whats for lunch' . Orson Wells. - Well for lunch Mr Wells why not Try our training lunch at £5.95 per head. 'After a good dinner one can forgive anybody, even ones relations' Oscar Wilde. 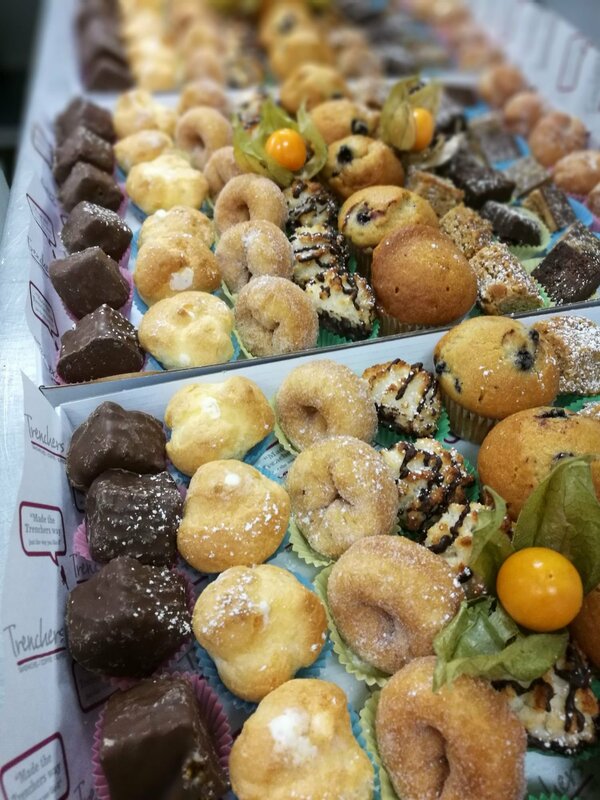 - Oscar, we have a Deluxe mini cakes platters that a relation could use to help you forgive them, a treat at £13.50 per platter. 'If more of us valued food and cheer and song above hoarded gold, it would be a merrier world' J.R.R Tolkien. - Well Mr Tolkien the hobbits will love our boardroom lunch at £7.65 per person, it is sure to help make the little people merrier!. 'Popcorn for breakfast! why not? it's a grain. it's like, like, grits, but with high self esteem.' James Patterson. - If you don't feel like popcorn for breakfast today Mr Patterson, then why not try our great Manhattan breakfast, its like, like, Breakfast without the popcorn, and its £4.15 per person. 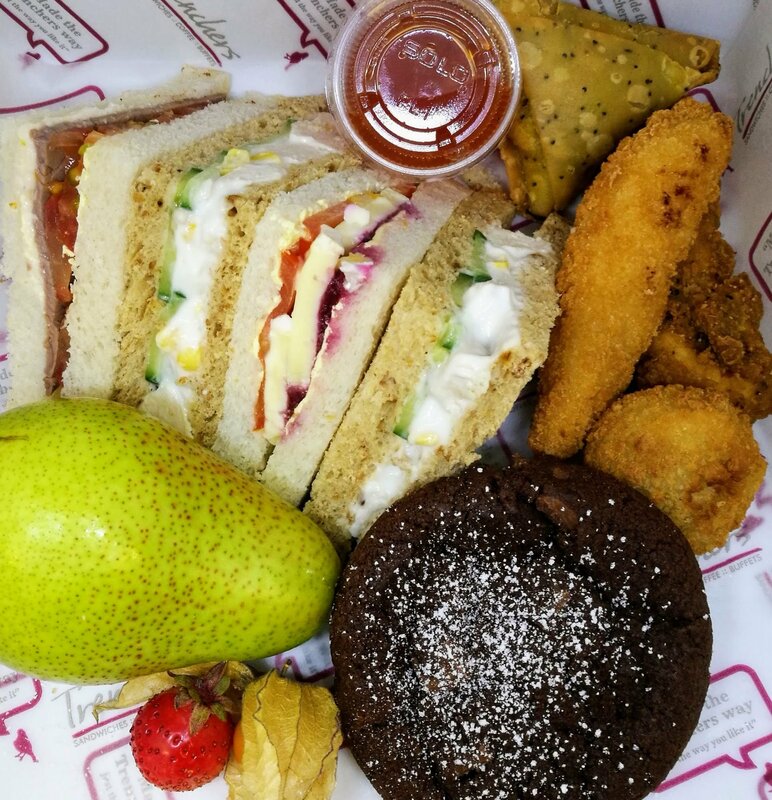 'Cakes are healthy too, you just eat a small slice' -Mary Berry,- Well Mary after all that cake, why not try our Healthy option menu 1, with health wraps and fruit, you will be feeling better about all that cake in no time! 'Humor keeps us alive, and food don't forget the food, you can go weeks without laughing' Joss Whedon. - We have all the food you can eat, even enough for an Avenger, our most popular menu at the moment is our combi premium platters which fly in at £5.75 per person. 'What i say is that, if a man really likes potatoes, he must be a pretty decent sort of fellow.' A.A Milne. real potatoes in our Real crisps, at £0.85 per bag, how decent a fellow am I.
I hope you enjoyed my play around with these quotes. SEO help for a small business. Trenchers Guide to better SEO for small business, from the prospective of Trenchers catering in Birmingham. Trenchers catering has had a bit of a learning curve recently, trying to tackle SEO or search engine optimization on, not just our own, but as the owner of a small business, it has fallen to myself alone, to make a website that is cost effective and has the best possible SEO. I have recently changed my website from a fairly expensive site, to what is much more sustainable, cost effective website, and doing so has taken a WordPress site with great SEO, highly rated in all areas, to a cheaper Site123 build which I have produced from scratch, and had to work out what is the best SEO i can put on, and in the site, within a really stringent framework, what follows below is what I have managed to do that has really help Trenchers Catering Website. Now I had already got my Trenchers domain, trenchers-midlands.co.uk, but had been given a tip from a google rep, who told me that for a small cost, (about £10 a year each) I could buy relevant domains that where specific to by sector, and be able to point those domains at my website, helping my SEO, and in turn helping get up google search results. We are an office catering business so the domains I had purchased where office-catering-birmingham.co.uk , officecateringbirmingham.com, and a few more, but you get the picture. By pointing these at our trenchers-midlands.co.uk web address, we get the search engine to see that we are office catering Birmingham, as well as Trenchers, giving us a really good boast up the rankings. Backlinks has been a bug bear of mine as I cannot get any decent ones that can help me, however, I do know that the more of these that you have that are specific to your business the better, I believe getting your suppliers to give you backlinks as well as customers if you can will really help. Keywords is a term used for the words that appear most on your website, this helps your rankings, but apparently not as much as they used to. So for me I have tried to have the words Catering, Office, Birmingham, Sandwiches, Platters appear as much across my website as possible, for instance, the main heading will say OFFICE CATERING BIRMINGHAM, and this is repeated a few times over the website with Catering appearing 46 times overall, you should have about 5 or six keywords that describe your business appear as many time as possible, but they need to be written is as good a sentence as possible as google can check grammar. Hopefully your website is better than mine with regards to speed, google recommends all websites load up within 5 seconds, however due to the platform I chose to create my website on, the speed of my site is 6 seconds, which will get penalised by google. So all main title pages should have H1 Headers with the secondary headers being H2, and so on down to H5, it is essentially the size of the text. Meta tags and descriptions are the bit of writing that google would use to check what is on a page and depending on if you have them and where, will depend on how easily google can read and place you on rankings. Every page on your website should have these above tags and descriptions. Your site needs to be connected to social media, the more the better, so get a Facebook page, twitter account, google plus account and then get them linked. Doing all the above will hopefully help your business get better at SEO, and in turn be more visible on google search results. Trenchers guide to an EHO inspection and what to expect in the UK, from the prospective of Trenchers catering manager. At Trenchers catering we always strive to achieve a 5 star hygiene rating with the Environmental health office. Have you ever wondered what needs to be done to achieve this target? Hopefully over the next few lines I will be able to explain in as much detail as I can what is required and how to do it. EHO Inspection is The council and Governments way of making sure the food you eat in the UK is safe, and to do this, all food premises, be it like Trenchers, a catering company, or even your local supermarket, will be inspected and rated on a 0 to 5 star rating system. The inspections are random and no notice is given when the EHO inspector will be coming to your business. Generally, the better you are rated, the longer you will have before your next inspection. Trenchers catering is rated as 5*,which is the best, so I would expect our next inspection to be at least a year after the last, but this is just a guess! The EHO Inspector will first site down with you and ask some simple questions about your business…. Name, address, type of premises, customer base, and volume of food produced. This is just to establish you are the correct company/person to be assessed and they are in the correct place, and have all the correct information for your business. The inspector is not a bad person and is only there to help your business provide the best hygiene standards possible, so if you get recommendations, don’t take offence, thank the person and act on the advice that they give you! All fridges and freezers will be inspected and temperature checked to make sure they are within the recommended limits….. Fridge between 0c and 8c and freezers would need to be below -18c. At Trenchers we have our own systems, which check Temperatures of Fridges, freezers, vans, deliveries received, cleaning lists, training records, flow charts. The EHO provide a simple solution to new food business called safer food better business, this is a great resource and I recommend all businesses have this and use it if they do not have their own system in place. Health and safety at work act 1974 and assoc Regs. None – Well done Good Job. Get all recommendations done asap as this will show you are a reasonable food retailer. You will then get your report in the post along with your certificate within 14 day. Good look and thank you for reading Trenchers Guide to EHO. Trenchers portions and what each person can expect, taken from the trenchers catering menu. Have you ever wondered what it looks like per person for the lunches you order, not just from Trenchers catering but from any caterer? Its really difficult for you to visualize what a each person would get for the price paid, so today I have decided to take a few photos of the lunches we provide, but just for one person each, hopefully explaining what the lunches are and what you get in said lunches. 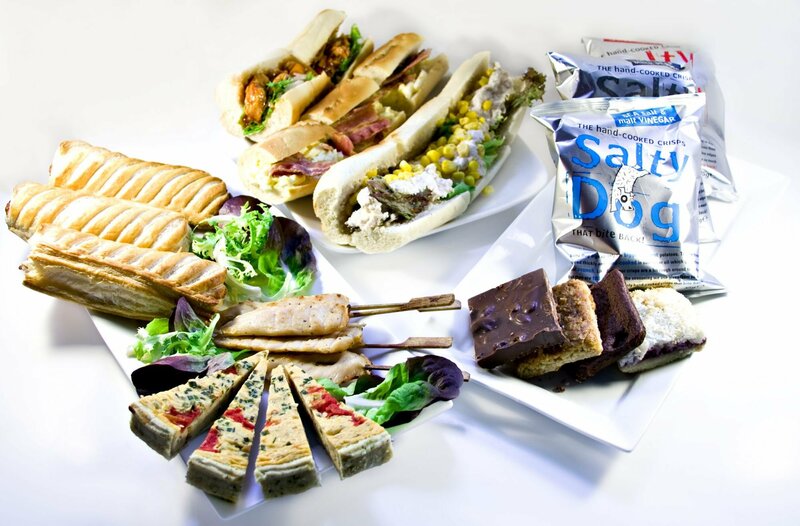 These are just a few of Trenchers great catering menus, why not take a look and see what we can do for your next office meeting, Enjoy! 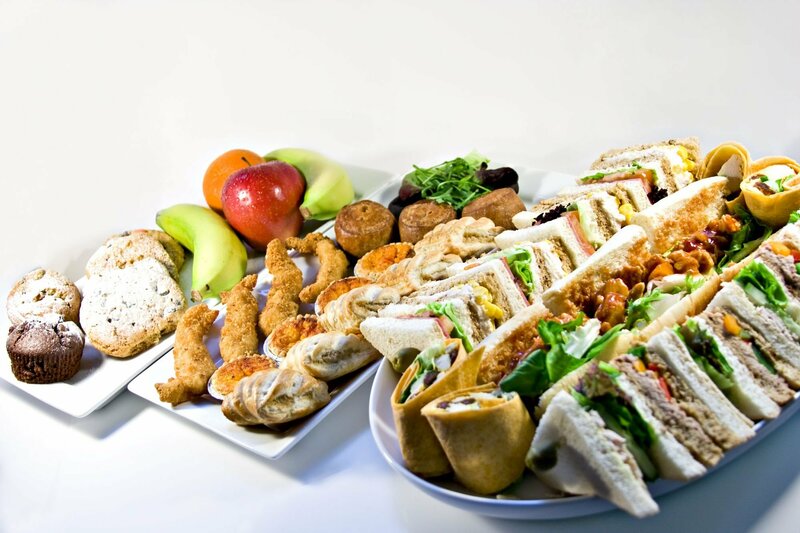 Our objective is to remove, as far as we are able, the stress associated with providing catering on your own premises. The ordering process itself must be simple and quick with personal help, when needed. We want you to be able to relax once that order is placed, confident in the knowledge that the order will arrive on time and that the food will be to a high quality. We understand these issues and are committed to delivering them. Trenchers has prepared and delivered catering to the Midlands and West Midlands area for nearly 20 years and we are committed to offering a highly professional, but friendly service. We are dedicated to making innovative, interesting food and we will promote this by modifying our menus. While the ingredients we use are simple and easily recognisable, we always try to provide a good variety on each buffet menu, so that your guests will be guaranteed a choice of food that they will like. We make good food. Our raw materials are excellent; freshly baked and interesting breads, free range eggs, real not processed meats and, of course, the freshest salads and fruits delivered daily. The safety of the food delivered to you is of paramount importance. All our food procedures have been scrutinised by our local Environmental Health Officers – the business has a 5-star hygiene rating (the highest there is!) – and we commission our own third party Food Safety Audit. Your food will of course be delivered in a refrigerated van. We are strong promoters of sustainability and are working to achieve many Social, Environmental and Economic objectives. We encourage our suppliers and clients to adopt sustainable practices and the use of sustainable materials. We know that confidence in the delivery is of most importance to you. Will it arrive on time?? Did they get my order?? Will it arrive at all??? We confirm receipt of all orders by email showing all details of the order. You therefore know we have received it and you can confirm the order matches what you require. All that planning cannot however remove the uncertainty of the traffic around the Midlands. If our driver is jammed the least we can do is make sure you know about it as quickly as possible. Our drivers all carry mobile phones and we will ring you if they have a problem. Challenges involved in being a caterer in Birmingham from the prospective of the Trenchers Catering Manager. That 12pm delivery time, has to be always in our minds, for delivery around that time, the drivers are all out on their delivery runs for 10am, this may seem early, but when you consider we cover the whole of Birmingham, the second biggest city in the country, and can be dragged in all directions for a sale, being early is always better than being late. Production on the lunches will start at 3am, with deliveries for breakfast being made and delivered through the morning and our deadline looming always, it takes careful planning and execution to make this business work. To cap it all off, there is a monster amount of paper work involved, from invoices, labels, delivery sheets, to temperature records and budgets, all crammed into a day that generally ends when the delivery drivers return from their respective runs, 1:30pm. When training staff, patients is always the key to getting the staff member ready and able to help achieve the needs of the business, all employees are different, and will take differing amounts of time to learn new skills involve in the catering business. What takes one person a day to learn may take the person standing next to them three weeks to get it write. 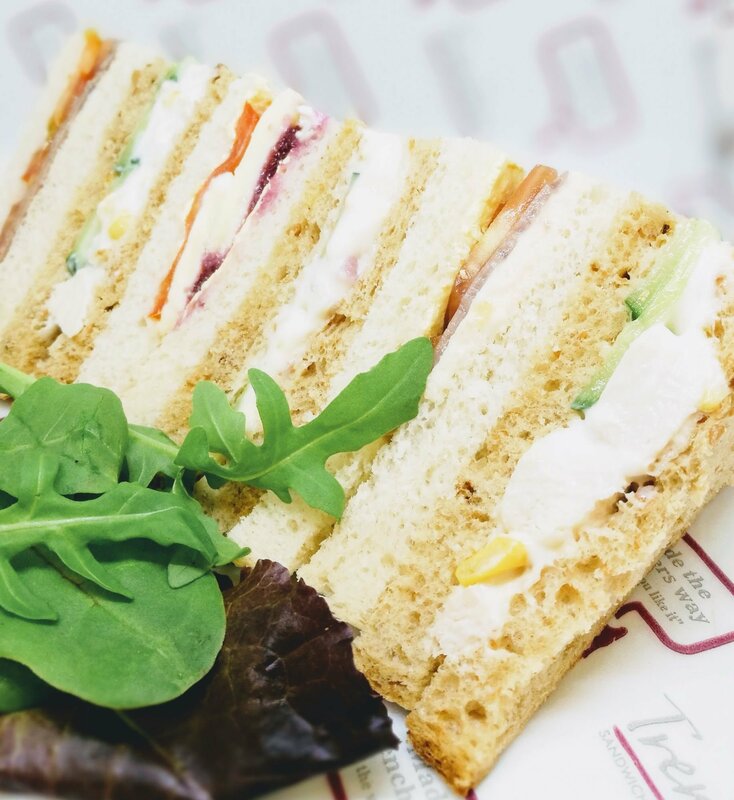 At Trenchers we like solving our customers problems, be it a call at 11:30am needed a lunch delivered for 12pm, or a bespoke menu just for that customer, due to their special requirements. With over 15 years’ experience you can rely on us to always delver a great service.